Which names spring to mind when you think of Folk Rock music? Jethro Tull, perhaps? Maybe Crosby, Stills and Nash, Joni Mitchell, James Taylor, The Strawbs, and Sandy Denny – even Kate Bush to a degree? There are many different branches and idiosyncrasies within this deep and highly-cultural genre. There is an entire discipline of this ancient music that is specific to particular regions and directly related to the cultural identity of the people who call the regions home. These names differ from the wonderfully refreshing, haunting sound of Fiùran, who specializes in a fresh take on the Scottish-Gaelic Folk tradition. 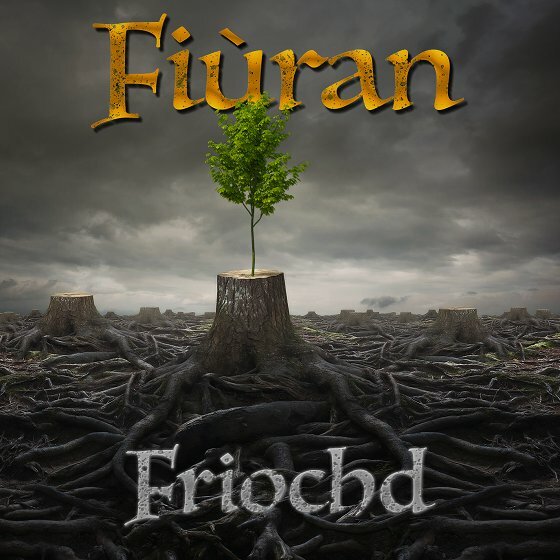 Fiùran (which means ‘sapling’ in Scottish Gaelic) is a Celtic Rock band from Ontario, Canada who is about to release their eagerly-anticipated sophomore album, “Friochd” (which means the second dram of four shots of whiskey traditionally taken in a single day). They count such highly-acclaimed bands as Runrig and Capercaillie as major influences, as well as legendary stadium fillers like Deep Purple and Genesis. Don't be fooled; although their music is rooted in the traditional space, Fiùran demonstrates their genre-crossing ability with their big sound and clever integration of rock and traditional sounds, putting a heavier spin on what is normally considered to be a lighter genre. Currently unsigned, Fiùran is a band whose collective years of experience shine through in their music. With a big presence and a big sound, this band is ready to captivate audiences at concerts and on large festival stages. With consistently highly emotionally-charged performances, fans and new fans alike will be left awestruck at the power and beauty of Fiùran’s sound and music. Fiùran demonstrates a high level of musicianship, incorporating not only rock instruments but also some genre-driven traditional instruments such as whistle, fiddle, and bagpipes. Topping off the mix are the amazing vocals of lead singer Krista Grant, whose powerful and emotive voice draws the listener in and takes them on a wondrous journey through space and time. The first release for this upcoming album is a remarkable cover of the well-loved Scottish favourite ‘The Skye Boat song’. Fans have been eagerly awaiting their next dose of Fiùran’s high-engaging, emotional, and exciting music – music that the band is so adept at creating. It takes courage to be different and to be innovative – and this is something Fiùran does in spades.